Michelle Griffith is one of about 1,000 adult learners at Motlow State Community College. "There was an entire lobby full of traditional students, and having to walk through them was hugely intimidating," Griffith says. She shrugs. "I just pretended I knew what I was doing." Tennessee has already made community college free for graduating high school students. Now state lawmakers are considering a bill to do the same thing with adults — effectively waiving tuition for most Tennesseans who want to pursue a two-year degree. But convincing adults to go to college later in life has its own set of hurdles. Gov. 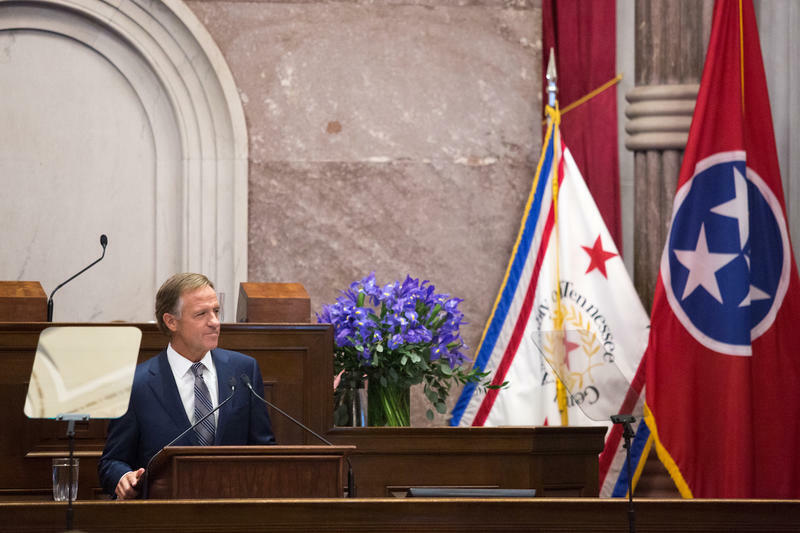 Bill Haslam has long preached the importance of getting adults back to school. He says it’s the only way that more than half of Tennesseans will obtain higher education credentials, one of his top goals as governor. But adult enrollment in community college has declined by more than a third since Haslam took office, something state education officials attribute to an improving job market. Hence, his newest education idea: the Tennessee Reconnect grant. It applies to any adult over the age of 24 or who qualifies as an independent student under federal rules. “I’m proposing that Tennessee become the first state in the nation to offer all adults access to community college free of tuition and fees," he said to the state legislature during his annual address in January. Lawmakers gave him a standing ovation. The state has already been piloting a version of Reconnect that gives free tuition to adults who started college, got at least halfway through and then dropped out. People were interested, but fewer adults qualified than the state anticipated. Community colleges complained that the requirements were too stringent. So the new Reconnect is much simpler: If you don’t have a degree and you want one, you can get free tuition. This expansion is huge, says Angela Boatman, a higher education professor at Vanderbilt University. "Many adults, we know from research, cite finances as the primary obstacle to why they're not returning to school." Interestingly, many adults already would qualify for free tuition through federal financial aid programs because of their income. 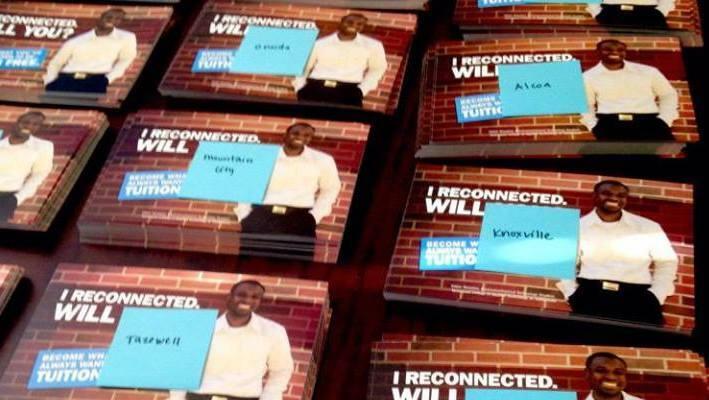 Tennessee Reconnect requires that they apply to those programs first, so lower-income students won't require any additional state money. In fact, the state estimates that it will have to pitch in only $670 per year for the average full-time student, or about 15 percent of the student's total tuition. The other 85 percent, on average, would come from other sources like Pell grants. This means that the state's dollars, which are funded by lottery proceeds, will primarily go toward people who make more money. It’s a little counter-intuitive, but Boatman says guaranteeing free tuition across the board is a much more powerful message. The question then is, how do you get that messaging out? 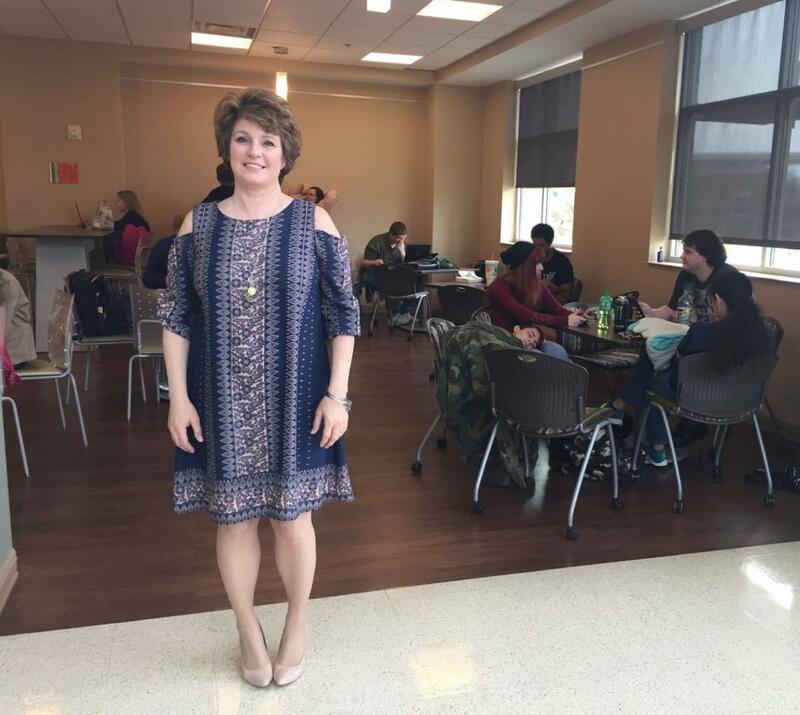 Allison Barton, who oversees adult initiatives at Motlow State, says reaching them is much harder than reaching teenagers, which they’ve done with the free community college program for graduating high schoolers. Teens are basically a captive audience at school. But adults? "This is just kind of, you're throwing out a giant fish net and hoping they all come in," Barton says. 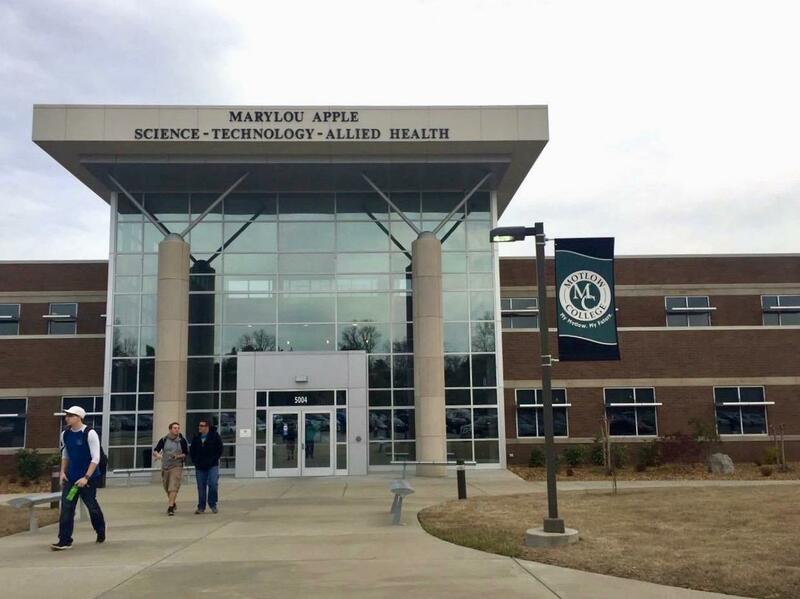 Community colleges are planning to contact former students who’ve dropped out — Barton says Motlow State identified 1,800 people in this category. The state has also been working with business groups around the state to get the word out, although it doesn’t have specifics yet on how it will market Reconnect beyond that. Motlow State Community College's Smyrna campus is one of the school's four locations. The idea is to target adults who need a degree to change or advance in their careers. They would also target adults like Motlow student Michelle Griffith, who had always been interested in college but never took the leap. Growing up, she always planned to be a “traditional student,” she says, but that changed when she got married right after high school. "Babies came quickly, and school got farther and farther away," she says. She spent the next few decades raising kids, working and eventually putting them through school. Then, her husband died four years ago, and with her children grown, she realized she needed to figure out what to do next. "And I kept thinking, 'School, school, that's what I want to do.' I figured, why not do it now? If it didn't work out, I could always say, 'Well, at least I tried.' "
Rounding up adults is one extra challenge. But another is getting them through the program. They tend to have more life factors to balance than a student straight out of high school, Barton says. "They may have a schedule change at work and they can't get a sitter, or whatever it may be," she says. "The progression rate is really not very high." A little more than a third of adults who go to community college finish school, according to the National Student Clearinghouse. That number is even lower — 26 percent — if they go back exclusively part-time, which Tennessee Reconnect allows them to do. The state argues the flexibility is necessary; otherwise, few adults would be able to sign up. To push students to continue, the program does require continuous enrollment. To keep the funding, they aren't allowed to take a semester off, which often leads to dropping altogether. To Griffith’s surprise, when she enrolled two years ago, she qualified for a full federal Pell grant — like many adult students will under Reconnect. She’s now a year away from her degree and has been encouraging friends to follow her lead. Some are considering it, she says, but she thinks the free guarantee would get them to commit. WPLN's Jason Moon Wilkins and state house reporter Chas Sisk discuss the politics of Gov. 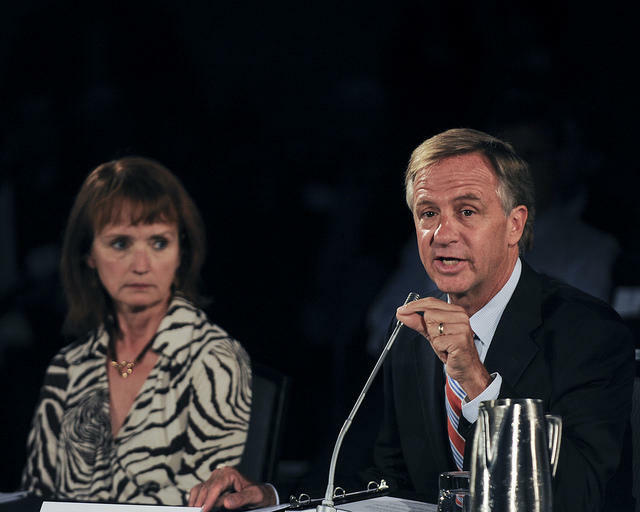 Bill Haslam's new plan to send adults to community college for free. Last week, Governor Bill Haslam announced a plan to provide free community college for everyone. It's an extension of Tennessee Promise, the program of tuition-free community college enjoyed by recent high school graduates.